Misr International University is keen to always develop the quality of education and teaching methods. 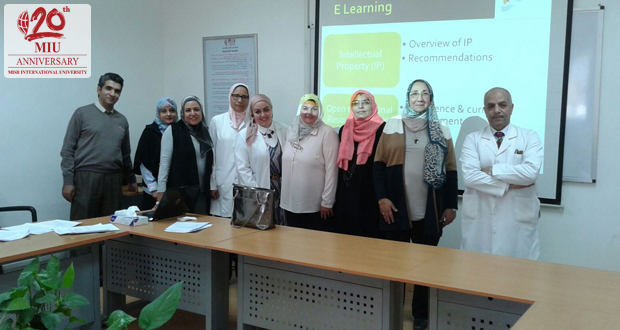 MIU’s E-Learning unit of the Faculty of Oral and Dental Medicine organized two workshops aiming to raise awareness about the intellectual property of e-learning on 25th February and 6th March, 2016. The workshops were conducted by Assistant Professor Dr. Zeinab El-Maadawi, General Histology Department, Faculty of Medicine – Cairo University. The workshops targeted staff members and teaching assistants. The focus of the workshops was presenting an overview of (IP), its recommendations, and emergence as well as the current development of (OER) and its reflections.